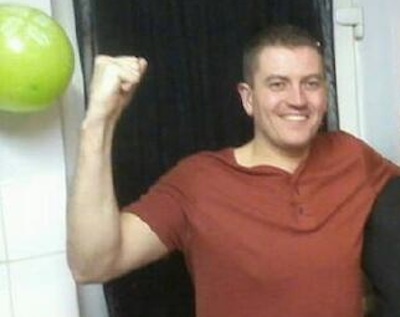 Stephen Murney has been released on bail at the culmination of a farcical trial in which the prosecution openly sought to criminalise him on the basis of his republican political beliefs and his activism as an éirígí press officer. 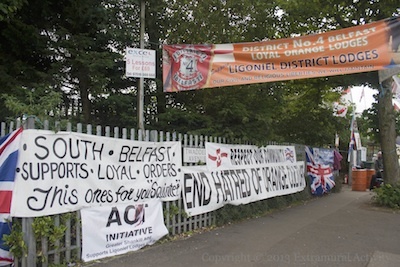 A protest by loyalist extremists against a reconciliation event involving ex-combatants and victims took place amid riotous scenes last night [Thursday] as missiles and abuse were hurled at those attending. 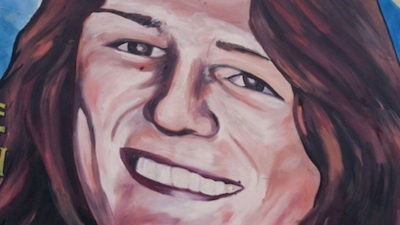 The findings of a bogus inquest into the RUC police shooting of an IRA Volunteer more than 20 years ago are to be quashed, the High Court in Belfast has ruled, and a new inquest is to be held. 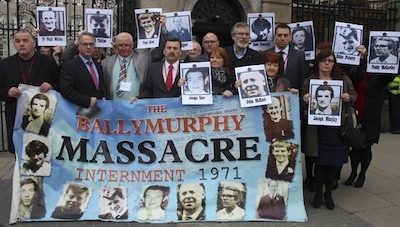 The Bloody Sunday families have called for the PSNI to begin interviewing soldiers who killed anti-internment protestors in 1972 amid indications that a criminal investigation into the massacre is finally getting underway. 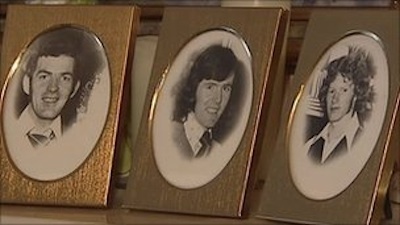 Family members of eleven people killed by the British Army in west Belfast over 40 years ago met with the Taoiseach Enda Kenny on Thursday. 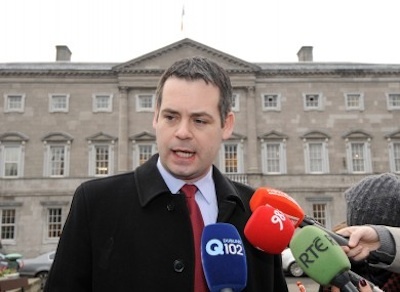 In a break from his party’s policy, the Fine Gael leader backed their efforts for a new investigation into the deaths. 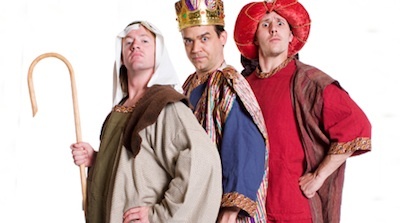 A ‘blasphemous’ comedy about the Bible which was banned by unionist religious extremists in County Antrim went ahead this week after international publicity shamed the council into a u-turn. 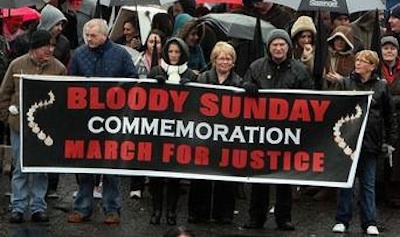 Despite the report of the Saville Inquiry in 2010, Eamonn McCann doesn’t believe that the British have told the whole truth about Bloody Sunday. 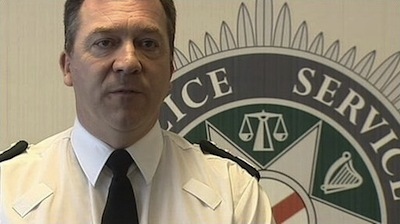 PSNI Chief Matt Baggott has announced he is to resign as head of the British police in Ireland after almost five years in the post, and will not seek a renewal of his contract when it ends in September. 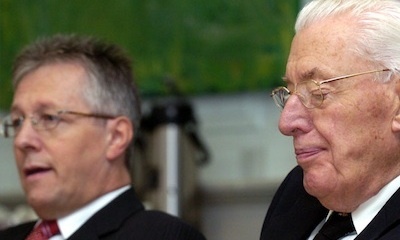 Former unionist firebrand Ian Paisley has publicly accused the current leadership of the party he founded of betraying him and of suddenly, and brutally, ousting him. 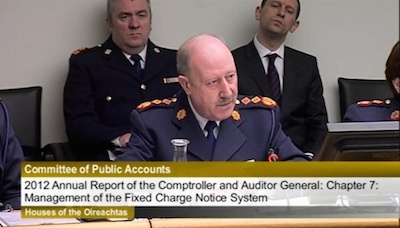 The possibility of whistle-blowers coming forward to expose wrongdoing is under renewed threat in the 26 Counties after the Garda police chief announced to a Dail parliamentary committee that he would take legal action to prevent any current or former Garda member speaking to them. 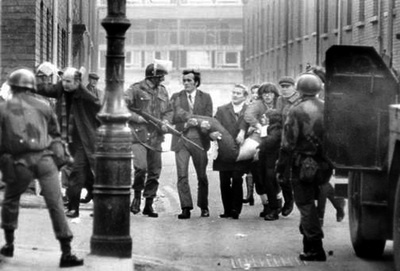 The British government has backed away from a pro-active role in dealing with the issues of flags, parades and the past in the north of Ireland despite the collapse of talks in Belfast. 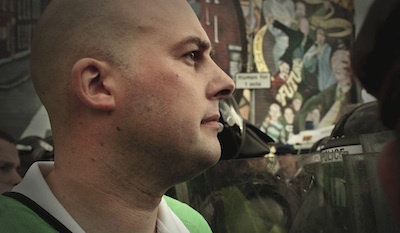 Seventeen nationalists are to sue the PSNI police and Crown prosecutors after a judge dismissed allegations that they staged an unlawful protest during a sectarian parade in north Belfast. 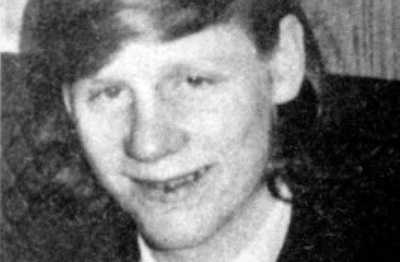 A new inquest has been ordered into the death of a 21-year-old Derry youth who was killed by a British Army rubber bullet in 1973. 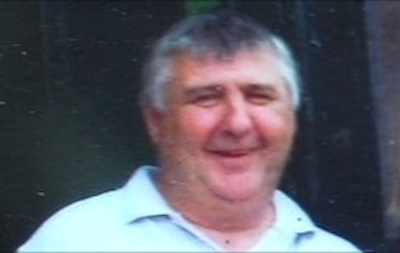 Without any doubt, the release from prison of Lurgan man Martin Corey will be welcomed by all persons with an interest in justice. 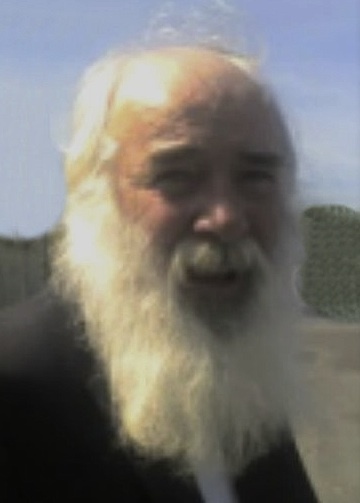 After almost four years in jail without charge, Irish prisoner of conscience Martin Corey was released from custody on Wednesday -- but only on condition that he stay away from the media and his home town or face being returned to jail. 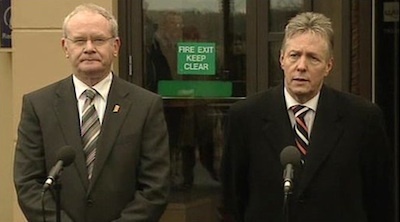 Sharp exchanges between Sinn Fein’s Martin McGuinness and DUP leader Peter Robinson have confirmed the failure of the Haass talks and the continuing difficulties within the Six-County power-sharing regime. 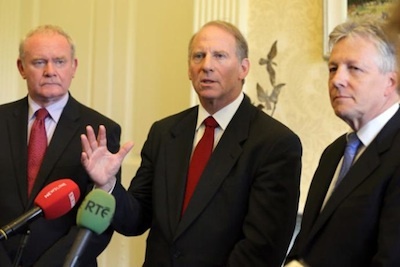 The 26-County public is turning against the state’s corrupt elite as never before following revelations of secret payments at a state-funded clinic and runaway spending by the new water board, Irish Water. 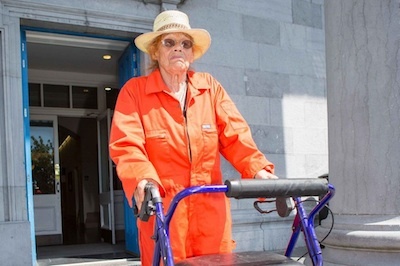 There have been nationwide demonstrations over the imprisonment of 79-year old feminist and peace activist Margaretta D’Arcy for her repeated protests against the use of Shannon Airport in international wars. 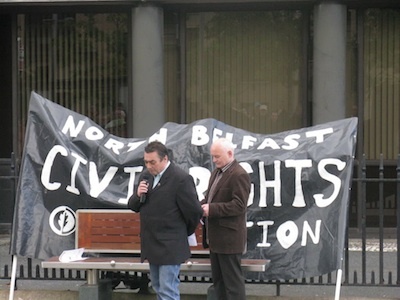 A young student activist who was returning from a morning exam was this week the target of the latest MI5 approach in the north of Ireland. 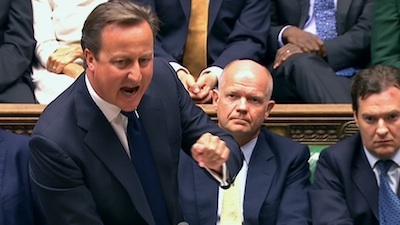 It involved a feeble £50 and a quote from Karl Marx. 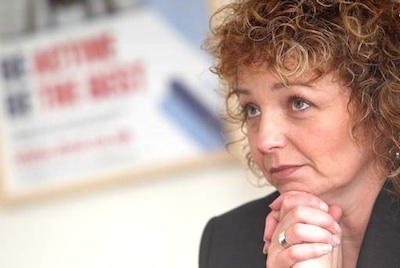 The Council of Europe has accused the Stormont administration of blocking the growth and promotion of the Irish language in the north of Ireland. 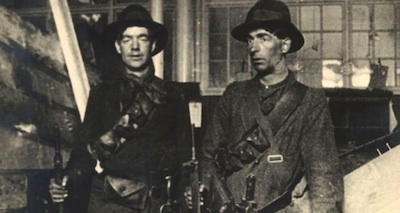 A new collection of personal stories contained in the Military Service Pensions Collection has now been published online. 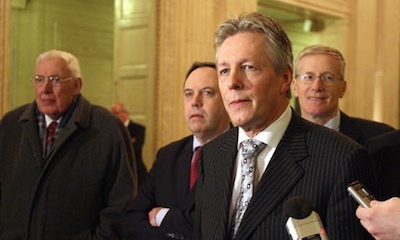 Irish Republicans have stretched ourselves in the negotiations and we are up for the challenge the Haass proposals contain, writes Gerry Adams. 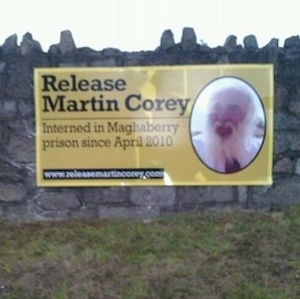 The release of long-term republican prisoner of conscience Martin Corey took place earlier today. 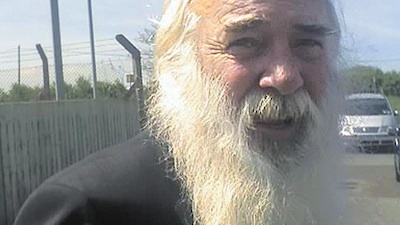 While the circumstances of the process remain unclear at this time, the Martin Corey Campaign has confirmed and welcomed his release. 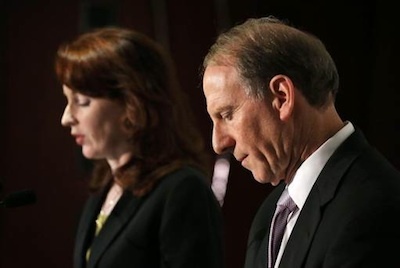 Unionists have sought to play down comments by US talks chair Richard Haass in which he blamed them for the failure to reach an agreement on his draft proposals dealing with the issues of flags and emblems, parades, and the past. 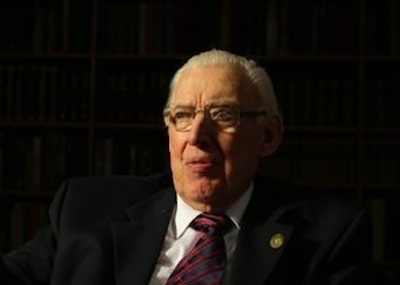 An attempt to revamp the hardline image of former DUP leader Ian Paisley has backfired after he told a BBC interviewer the 26 County state got what it deserved in the Dublin and Monaghan bombings of 1974. 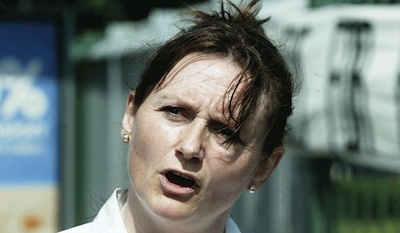 Former prisoner of conscience Marian Price will not return to jail after an outstanding court case ended with a suspended sentence. 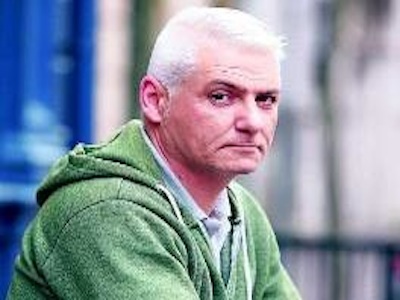 A County Armagh lorry driver has said he fears for his life after being stopped on a Scottish roadside by PSNI Special Branch police who offered him thousands of pounds to gather information on republicans. 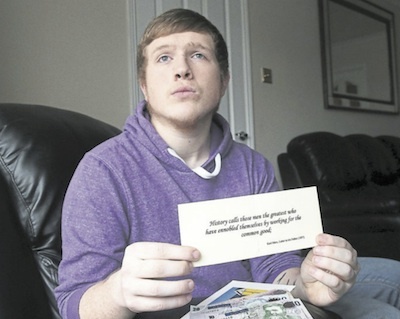 A loyalist mob is planning to confront a nationalist parade seeking housing equality in north Belfast. 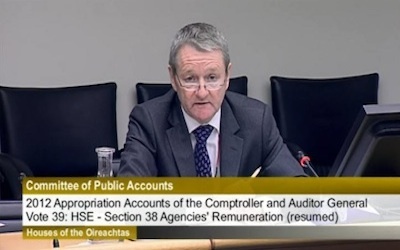 Key documents have disappeared ahead of an upcoming inquiry into the collapse of the Irish banking system, it has emerged. 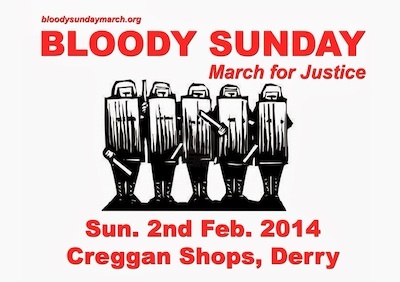 A look at the background and current context of this year’s Bloody Sunday March for Justice, which will mark the anniversary of a massacre in which 14 civil rights protestors were shot dead by the British Army. 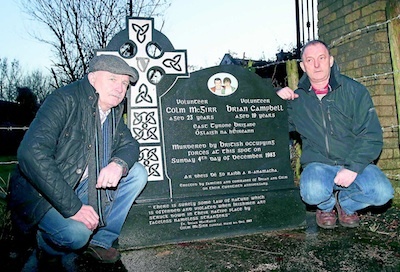 Relatives of two IRA Volunteers shot dead by the British Army’s SAS regiment in County Tyrone 30 years ago are to sue the British government after a new report found that they were shot in the back. 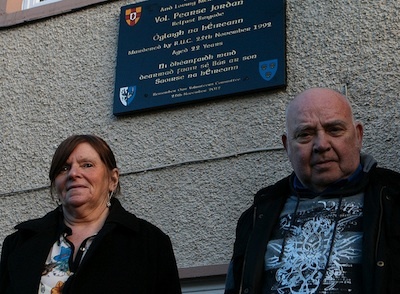 A court has heard how a group of men shouting “We’re the UDA” descended on a Coleraine street and set upon two Catholic men, leaving one dead, after Glasgow Rangers FC won the Scottish Premiership title in May 2009. 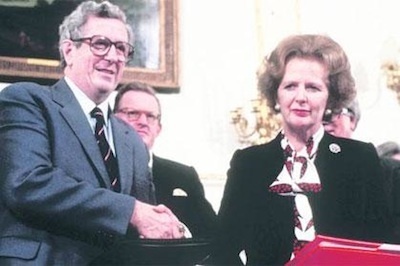 Extraordinary plans to redraw the partition of Ireland, including the possibility of west Belfast being governed by the 26-County state, were considered by Margaret Thatcher in the 1980s, according to previously classified state papers released today. 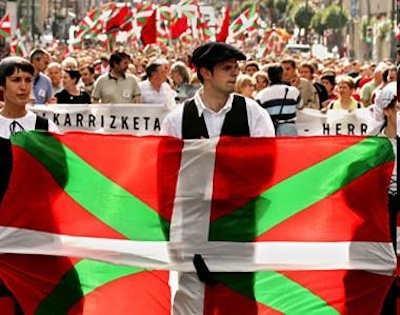 Basque political prisoners have agreed to endorse a political strategy as part of a number of key statements by the prisoners aimed at finding a solution to the ongoing independence struggle in the Basque Country. 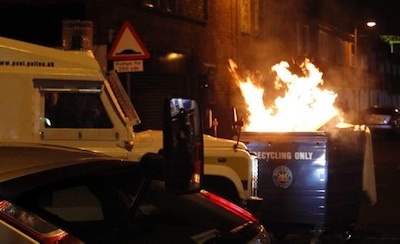 The parades issue is continuing to provoke confrontation and incident, particularly at the Ardyone interface with the loyalist Twaddell Road in Belfast, where loyalists engaged in a protest camp are again planning a major sectarian parade through the city. 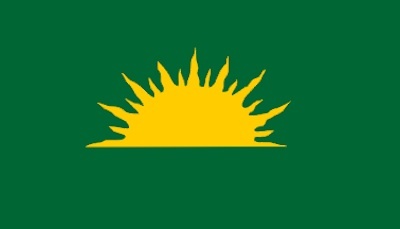 As politicians examine the issue of flags and symbols, a look at the Gal Greine or Sunburst Flag (Banner), one of the few symbols that can claim to have authentic native Irish roots. 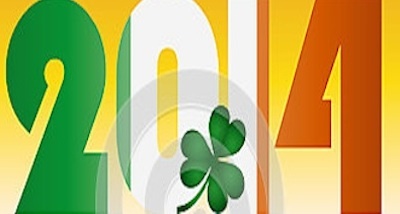 A round-up of the statements issued at the turn of the New Year by various republican groups.